The term food poisoning entails a stretch of food-borne diseases caused by an evenly wide range of microorganisms Most cases of food poisoning recorded are caused by bacteria such as salmonella and campylobacter, or by viruses. An escalating appreciation for microbiological safety and the importance of food has resulted in demand for a rapid, high-throughput method for the total viable count (TVC) quantification to deal with the increasing numbers of samples that require rapid bacterial testing. The manufacturer must meet the consumer’s needs for the quality and shelf life of foods and beverages. The affirmation of the quality of a product can't be restricted to the examination of the final product alone, such as a prepared food product or a bottled beverage. Instead, continuous inspection of incoming raw materials and in-process quality control tests must be carried out during the entire production. Aseptic and microbiological testing plays a major role in the actualization of such quality assurance. An instance is the soft drink industry, the hygienic and microbiological quality including the biological strength of the products are valuable criteria for their assessment. The reason: just a few bacteria are often all it takes to damage large quantities of a beverage. Although the explosive technological development has drastically reduced the risk of contamination by spoiling bacteria, the issue of the useful life of products has taken on new dimensions due to the enormous production output possibilities of today. Quality control of bottling and filling, regarding chemical, and biological stability, must be adapted to this development by state-of-the-art test methods. These technologies often referred to as rapid bacteria testing, offer fast results and are very sensitive and accurate at detecting, quantifying and identifying pathogens. Local testing methods for food borne microbes require several days to deliver results. 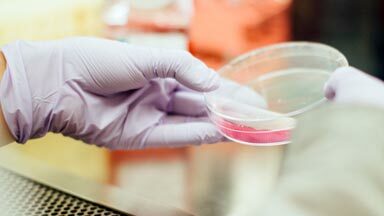 Most of the new rapid testing technologies still involve growing the bacteria but need an incubation time ranging from 16-24 hours depending on the bacteria. However, with renewed research and development efforts within the diagnostics industry, a few of the latest technologies have eliminated the growing of bacteria step—and have significantly reduced the time for results. Methodologies In general, rapid testing methods are smaller-scaled or miniaturized, packaged and sold in complete kits, and less hands-on with more automation than the older, conventional test methods. In other words, rapid testing methods have been slightly modified to obtain quicker results. Food poisoning, as a result of intoxication is less common but equally significant from a food safety point of view. Intoxication occurs when there are pre-formed bacterial toxins. Live bacterial cells are not compulsory before food illness develops. A third type is the intermediate food poisoning, which occurs when toxins are produced by bacterial growth in the gut. Testing methods exploit unique properties of bacteria, such as enzymes, antigens, and DNA, to detect and identify the actual type or species. The more accurate the testing method is for an actual bacterium, the higher the specificity of the product, which is mostly represented by a percentage (the specificity is defined as a testing method with the ability to differentiate between two different types of bacteria). 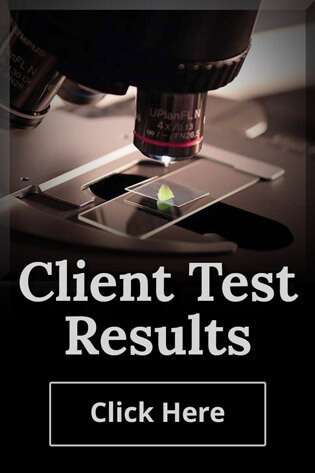 The sensitivity of a test is measured by the test's ability to detect the bacteria if it is present and also represented by a percentage (the sensitivity is defined as a testing method with the ability to find tiny amounts of a microbe). As a result of the sensitive nature of fresh produce, bacterial safety tests, which require days for results to be obtained, are not practical tools for food security. For a testing plan to provide a sensible solution, it must be low-cost, robust, reliable, and deliver swift results. Some viruses can attack specific bacteria, replicate within them and then lyse the host while releasing hundreds to thousands of new viruses. Located in Coopersville, MI, Alliance Analytical Laboratories is a rapid bacteria testing lab with national and international capabilities. Contact us today to request a quote or call us directly at (616) 837-7670.